I love the look of fabric applique, but I just don't have time to painstakingly sew an applique to a t-shirt. 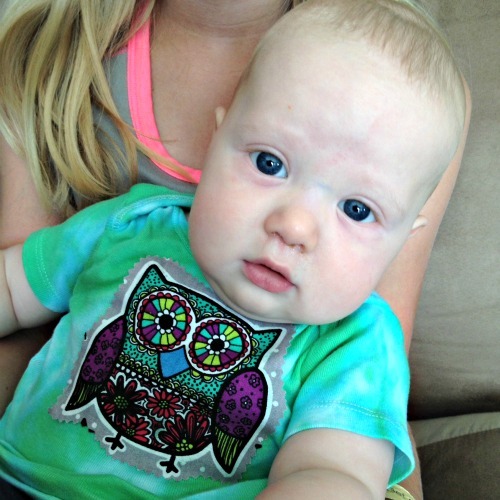 Aleene's Fabric Fusion to the rescue! 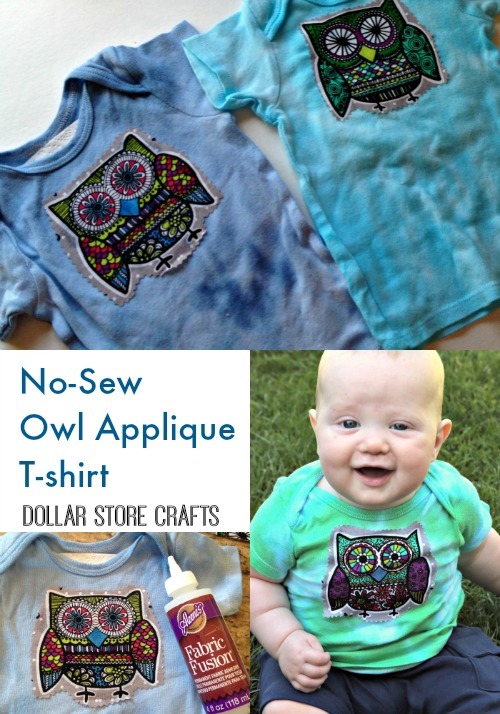 I used it to glue an adorable owl print applique on some t-shirts for my son, and it was so quick and easy I just had to share with you! 1. 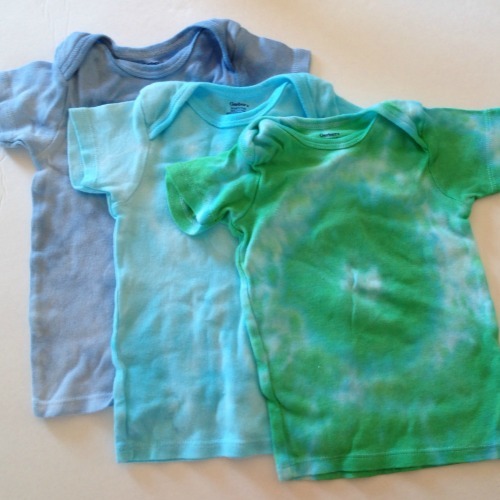 If desired, tie dye your t-shirt first. 2. With pinking shears, cut out the part of your fabric you want to use as the applique. Using pinking shears (those scissors with jagged edges that cut in a zig-zag) will keep your fabric from unraveling, and will make it so you don't need to finish the edge of the fabric. Tip: If you don't have pinking shears, you can cut out the fabric, then use Aleene's Stop Fraying around the edges of the fabric according to the package directions. 3. 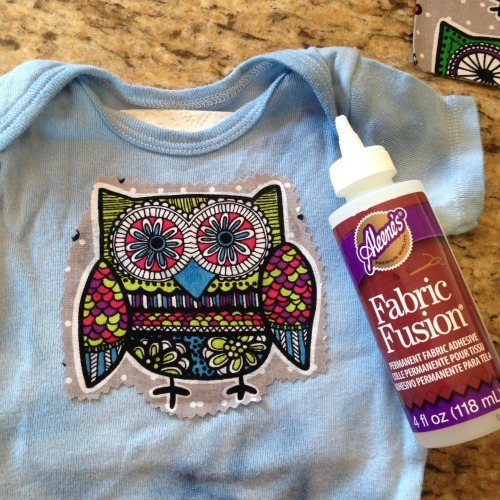 Glue the applique onto the t-shirt using Fabric Fusion. Make sure you use glue as close to the applique edges as you can. Allow the glue to dry according to package directions. That's it! 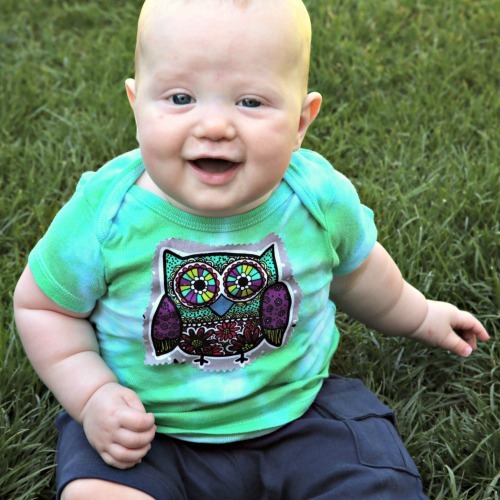 These appliques hold up very well with hard use (such as a messy baby!) and frequent washings. Our appliqued shirt has been washed many times and is still going strong. This no-sew fabric applique technique can be used on any fabric surface or clothing item. 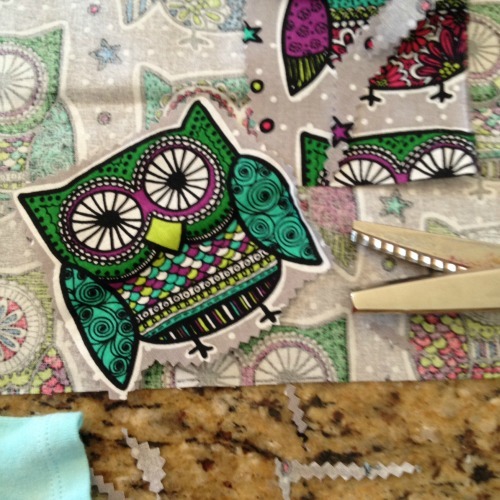 Think of all the possibilities now that adding a fabric applique is as easy as cutting and gluing. I can't wait to applique all the things! Through the years, I've adored the actual eco-friendly rolex replica watches through very far viewing this upon other view enthusiasts, celebs, as well as hublot replica to many people criticize this. Somebody in whose flavor We appreciate actually known as this uncool. Actually, at that time, this particular individual had been putting on the rolex replica watches on the bund-style cuff straps so that they weren't precisely aggressive towards the manufacturer. In my tag heuer replica uk their own thought had been which within their viewpoint putting on the actual green-dialed fake rolex sale discovered in order to him or her as if somebody had been trying way too hard. Attempting way too hard as to the. Nicely, possibly stick out or even end up being distinctive. We concur when that's the reason you buy this particular view, or even any kind of view for instance, after that this isn't awesome.